A blog about vintage Penguin paperbacks. I was just comparing this with my own pile of Pelicans and found a few not listed. Hope this is of some help. These were part of a pallet of books I bought and I should really send some to you as you certainly provide a perfect home and I have way more books than I will ever read. Your site is truly inspiring! I cannot believe how much work you must have put into this. I have 81 of the first 100 Pelicans, but only 65 of the second hundred. I have a few variants, including some American and Australian editions (Lothian press). I have pondered creating a Penguin collectors site myself, but am truly in awe of what you have done. 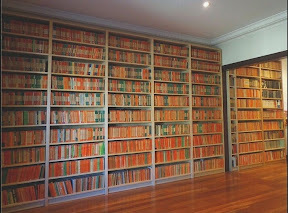 This is a blog about my Penguin paperback collection which is restricted to the Penguins published before Allen Lane died in 1970. These books are identifiable by the pre-ISBN numbers on their spines, and are numbered approximately in publishing order. Many of these books are now forgotten, with any lingering interest focused primarily on their covers. I aim to rediscover them one at a time, by reading and commenting on one of these vintage Penguins each week - or at least that was the plan when I started the blog five years ago; these days the timing of the posts is a little more erratic. 1191. Selected Short Stories by Q. Good Mystery | Find a Good Murder?